We’ve been in our new house and new neighborhood for a few months, but today was the first day that it truly gave me the feeling of being at home. A warm front came through and the windows went up for the first time since we moved in, bringing in the smell of spring and the laughter of the several six to eight year old boys that were running through, in and out of, and around our house. It was a moment that brought a little tear to my eye, watching Mr. N run outside to play at the ball field with his new neighborhood friends. 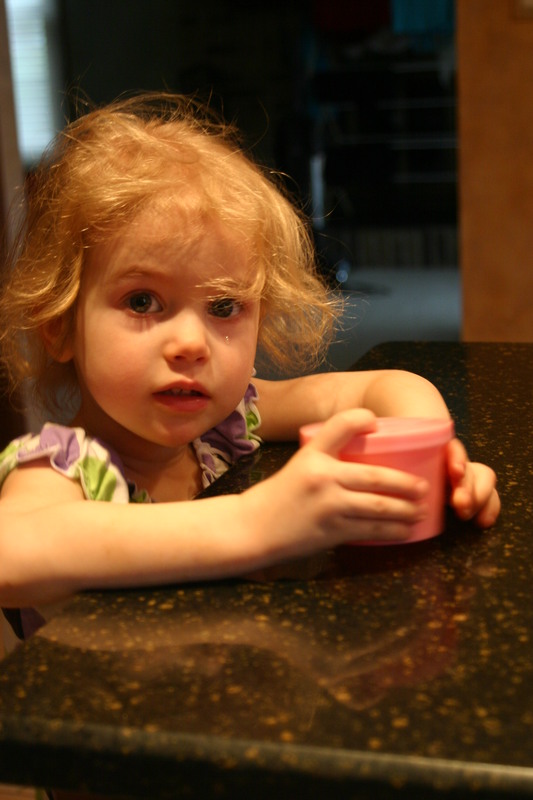 I tell ya these little ones are growing up too much this week! It also felt like a “home” as the aroma of a big Sunday dinner mixed with the scent of on-coming rain in the air. And for that big Sunday dinner, one more trip back to New Zealand. New Zealand is world-famous for its lamb dishes, so the choice for tonight was an easy one – Rosemary and Honey Lamb Shanks. The foundation of this recipe came from a New Zealand recipe site Recipes for Beef and Lamb, but based on our reading of multiple recipes we decided to get creative. 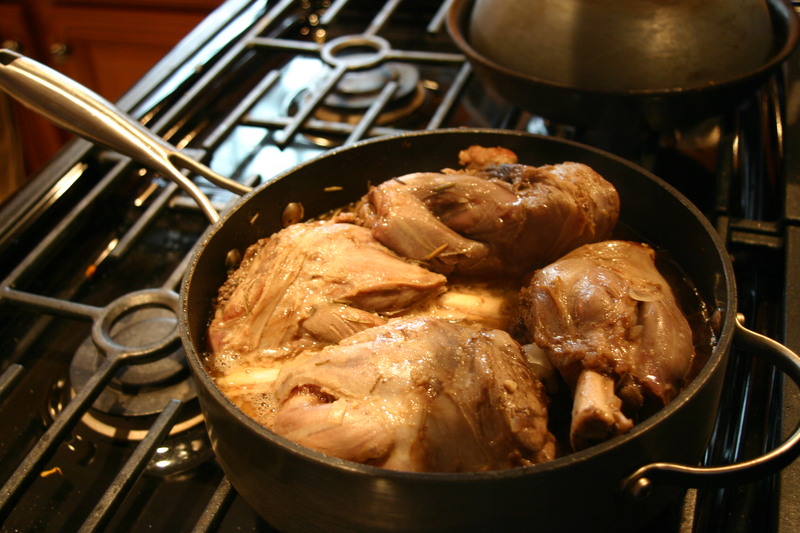 The first step in the process involves browning the lamb shanks in oil. Mr. N and Miss A really aren’t ready for this type of stove work yet, so for a treat Mr. N got to handle the photography. After browning the shanks, we set them aside and added some garlic to the skillet. 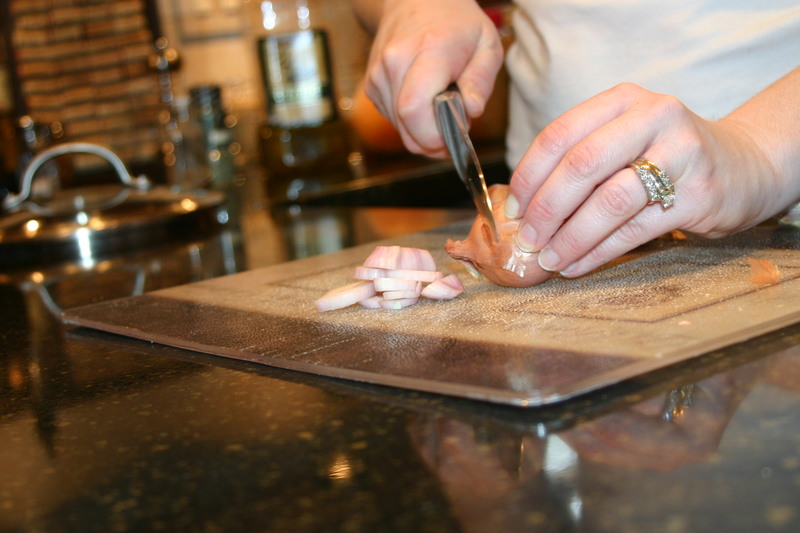 Next I diced up some shallots and Mr. N was there snapping away. We tossed the shallots in with the garlic, added some grated orange rind and sautéed for about 5 minutes. We then added the shanks back into the skillet along with some white wine, honey, fresh orange juice, rosemary and a touch of chicken broth. 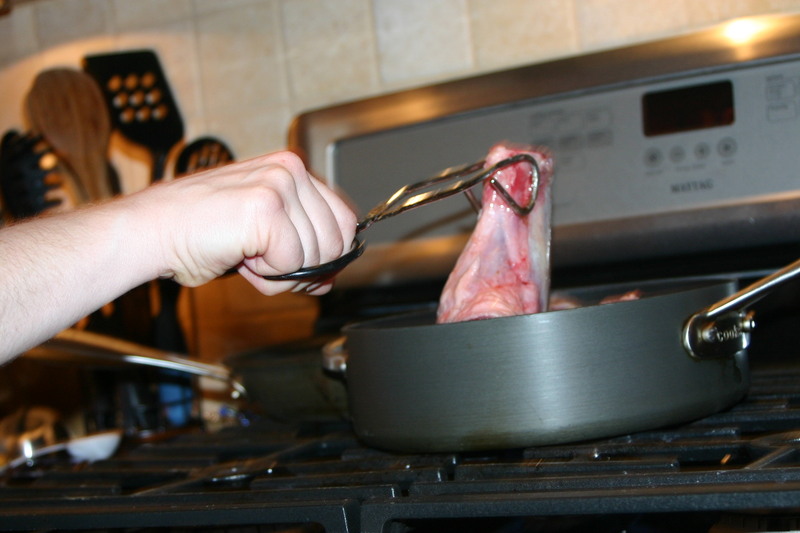 We covered the shanks with a tight-fitting lid and simmered for 2 hours and 20 minutes. I rotated the shanks about every half an hour. During the last 30 minutes of the simmering, Miss A and I sliced up some veggies for an oven-roasted side dish. Miss A took care of shaking up the olive oil, balsamic vinegar and seasonings for the veggies. The meat was juicy, succulent and falling off the bone. 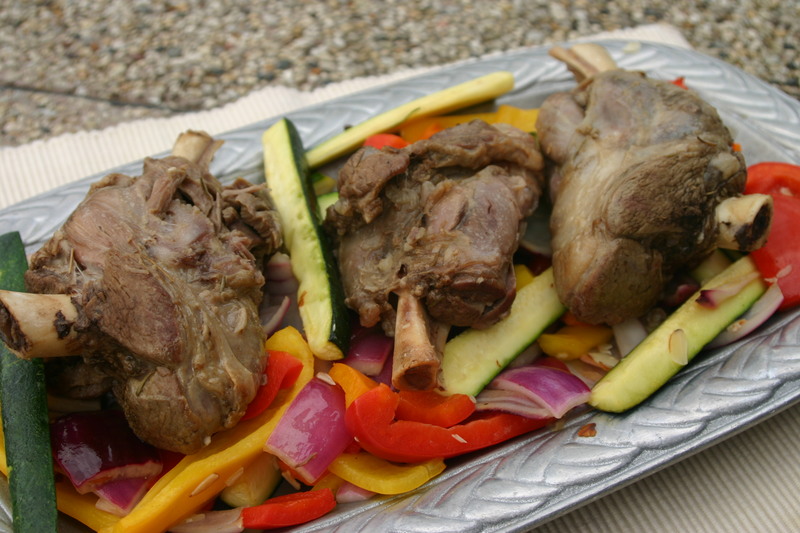 The lamb shanks also lived up to their enticing aroma with terrific flavor. Dad really dug tonight’s meal and gave it an enthusiastic 4 spoons. Miss A and I both gave it 3 spoons – for two people who don’t eat a lot of meat, that’s a pretty solid rating! And for Mr. N, he gave the “disgusting” dish a full 4 spoons and ended up eating all the meat right off his bone! Thanks to everyone that voted for New Zealand. We definitely enjoyed our Kiwi adventure, learned a lot and tasted some fabulous dishes. But before we say goodbye to NZ, Mr. N and I are going to share a traditional New Zealand dessert dish later this week (although the dessert itself isn’t going to last that long!). I’m the same as Babygirl – Never tried lamb shanks, and unfortunately not likely to as long as I live in France – Lamb seems to be astronomically expensive here compared to England 😦 Recipe looks great though – At the least, you’ve reminded me that I really need to get one of those large deep pans which you’ve put the shanks in – they’s *so* useful! So colorful! I’ve never cooked lamb shanks before but I think that my husband would love it. I might try it for our Sunday dinner sometime. This recipe was actually very easy to make. There are a lot of variations (red cooking wine vs. white), but we enjoyed this a lot!